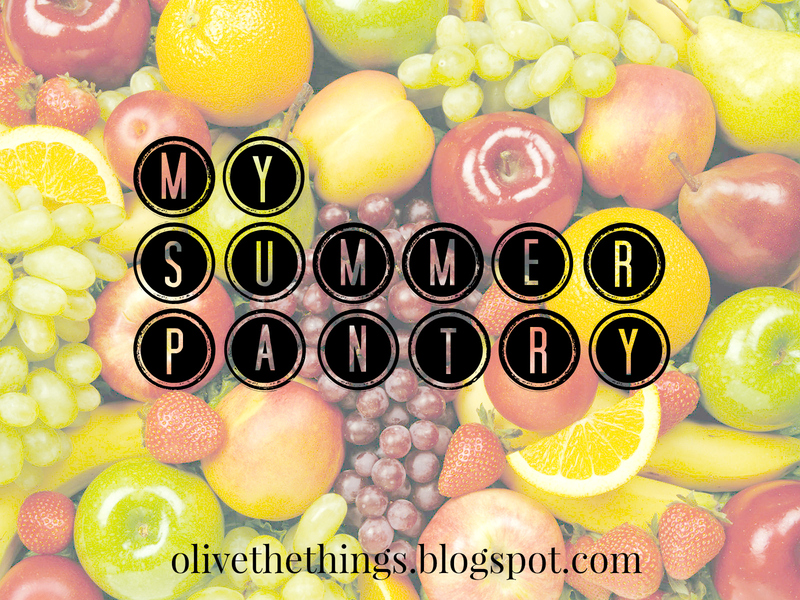 Today Kimberly from Olive the Things is taking over the blog to share her Summer Pantry. 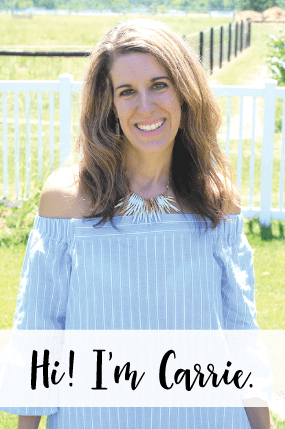 Kimberly and I met during the 30×30 Challenge and we now share a link up party called ‘5 Little Confessions’ together the first Wednesday of each month. However, apart from mixing up outfits and sharing deep dark secrets, we both love food… meal planning, healthy recipes, you name it! Sooo, it made perfect since for her to do a foodie blog post today. So, read on and you can start planning out your summer pantry, too! But I wasn’t always this way, and sometimes my past serves me well. Last week I had a babysitter so I could run some errands (can I get an AMEN for the awesomeness of summer break and teenagers home during THE DAY!?!?! It’s so great) and after I sent off orders for my etsy shop I still had some free time. But no meal plan! No shopping list! Also, no food in our house, so I would have to wing it. Plus in the summer, who uses recipes anyway? I hardly do. It’s like grill chicken, cut up fruit that was on sale, roast some veggies, bake potatoes. Pick three of those four and you’ve got dinner. Basically, in summer, the less you mess with it the better. And thus the Summer Pantry was born. If I stick to these basic items, I can whip up something almost every night of the week. What items do you have to have on hand to throw together a summer meal in a pinch? Sandwiches and pasta salads are such a great summer staple. I mostly buy what ever fruit is on sale that week! Throw a few together and you have a fruit salad. I buy some veggies fresh, but I really love having a selection of frozen veggies in my freezer, especially if I know I would be cooking the fresh anyway. I toss almost any frozen veggie with olive oil, S+P and roast them in the oven at 400* until they’re very browned. Perfection. I don’t eat a lot of meat, even less in the summer, so this is what I keep on hand. I don’t eat a lot of dairy either, but my husband and kids do. Tomatoes. Diced, sauce, paste, Rotel, etc. Beans. Black, kidney, navy, chickpeas, etc. What is your favorite throw together meal in the summer time?